With the introduction of Goods and Service Tax, the biggest community kitchen in the world fears 10 crore hit annually. The langar at Amritsar’s Golden Temple after the implementation of GST will have to bear an extra expense of Rs 10 crore every year, the kitchen feeds around 50,000 devotees on regular days and more than 100,000 on the festivals and weekends. The members of Shiromani Gurdwara Parbandhak Committee (SGPC) have urged the Finance Minister Arun Jaitley to provide an exemption from GST. It is called the largest community kitchen in the world because the langar runs continuously, barring 2 hours maintenance break. 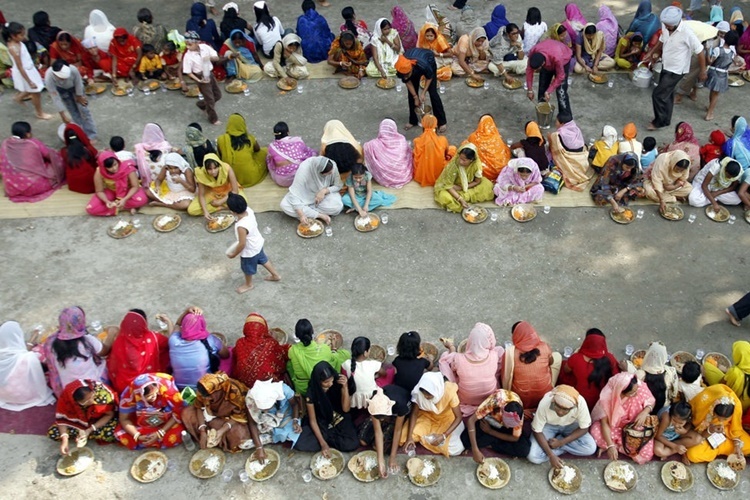 To prepare the food at the langar about 7,000 kg wheat flour, 1,300 kg of lentils, 1,200 kg of rice is used daily. The raw material for the preparation of the langar generally comes from Delhi. The meal which is provided at the Golden temple is for free and anyone can eat the meal. The devotees are given the vegetarian meal and the footfall gets doubled on the weekends and during the festival. He added, “With the imposition of GST on cloth, we will have to spend extra to buy siropas (robes of honour). We annually purchase 15 lakh metres of cloth for siropas”. The kitchen has roti-making machines which are capable of making 25,000 rotis in an hour. A plate used in the langar is washed five times before being reused. The staff of 450 runs the kitchen and hundreds of volunteers also help them.